We walked through Piata Mare (the large square) and felt the stares upon us. Not from the people casually strolling by eating ice cream, frolicking in the water fountain, or those just sitting on the benches watching others go by. But instead by the buildings. And no matter where we walked, their gaze followed. 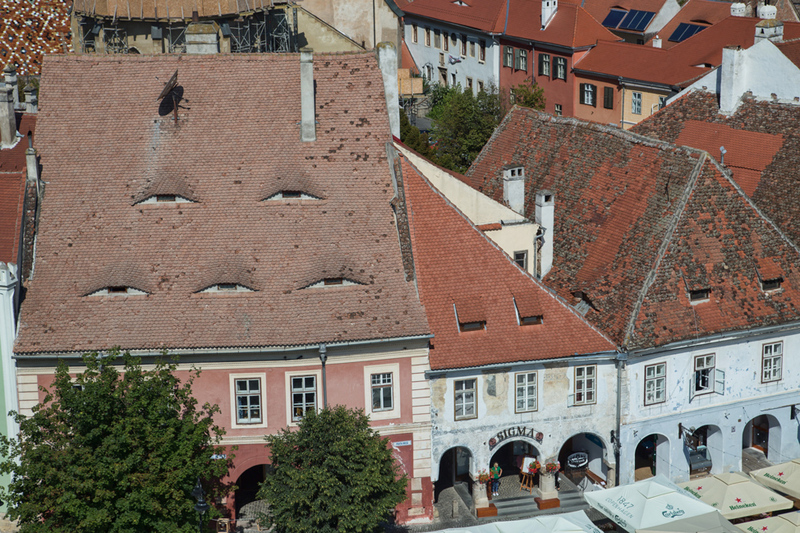 Sibiu is known as the city with eyes. The old historic city is composed of an uptown and downtown connected by intertwining alleyways. 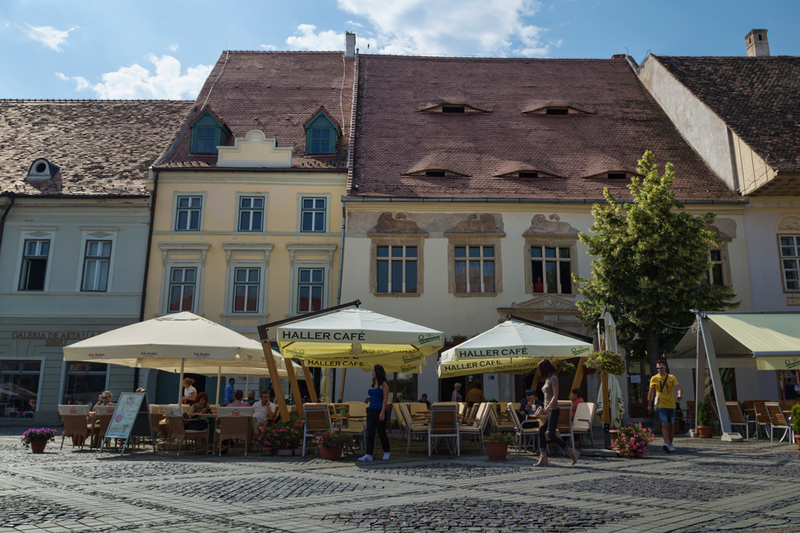 The gothic style buildings reflect the Hungarian-German influence and many carry a common feature in their heavy tiled roof top: small attic windows that appear as eyelids looking down upon you. 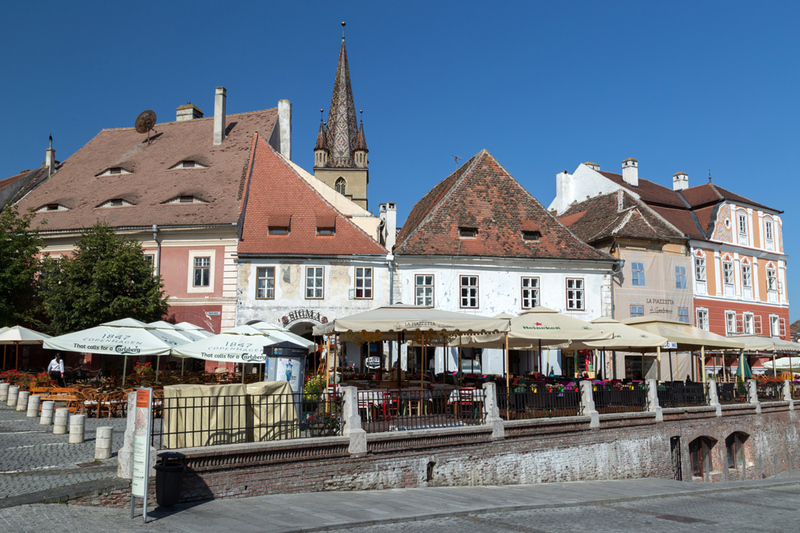 Sibiu was once the administrative centre and capital of the Siebenbürger Sachsen, the German-speaking population of Transylvania. People have claimed that the eyes were purposely built by German occupiers in the region to instill fear into the people – for it to be known that they were always being watched and thus must behave appropriately. And then came the deranged Communist dictator Ceauşescu – and you know he used them to his advantage as well. People have claimed that the eyes were purposely built by German occupiers in the region to instill fear into the people – for it to be known that they were always being watched and thus must behave appropriately. The government had blacklisted our family, tapped our phone, and checked our mail. Spies were always listening, opening and checking every piece of mail. Every other neighbor became a secret agent and informant for Securitate. If your face registered all the pessimism, sadness and pain you felt, nobody thought anything of it, but if you squinted in defiance or spilled over with excitement or laughed in merriment, someone would notice you and wonder why. Originally a grain market that began in the early 1400s, the site of beheadings, hangings, and even cages for “crazy people,” the square gave rise to a unique architecture. Its buildings featured attic windows, which peeped out of a smooth rise in the roof – instead of a gable – forming an uncanny “eyelid” that hung over dark, recessed panes. 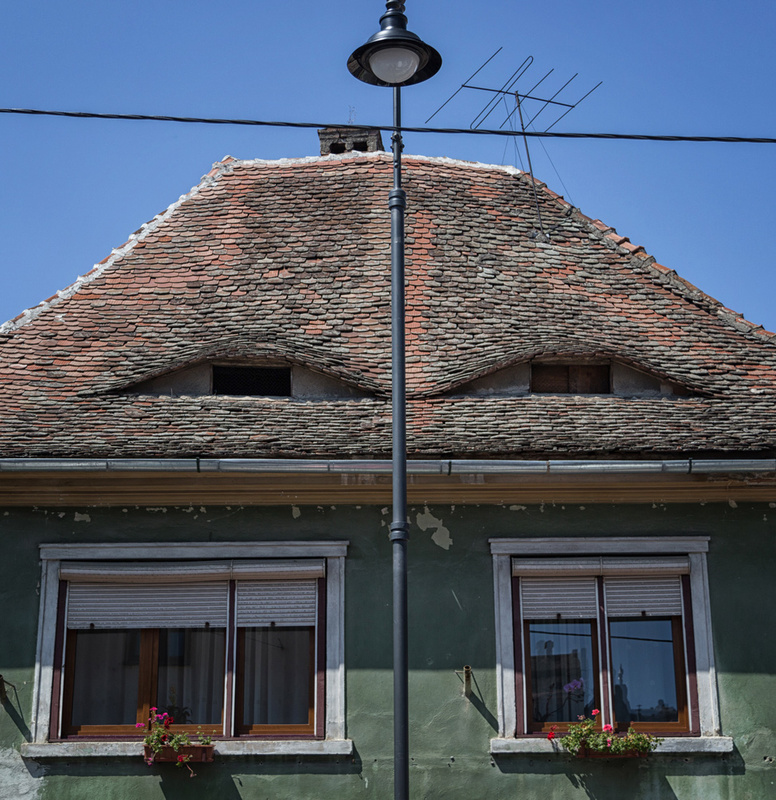 It looked as if black, unblinking human eyes, sometimes five to a single stretch of tiled roof, were always watching. With Ceauşescu in power, this felt especially disturbing and eerie. They saw you, but you had no idea what or who was hiding behind those haunting windows. We stayed for a couple weeks in this sleepy Romanian city. We both felt comfortable and at ease here. 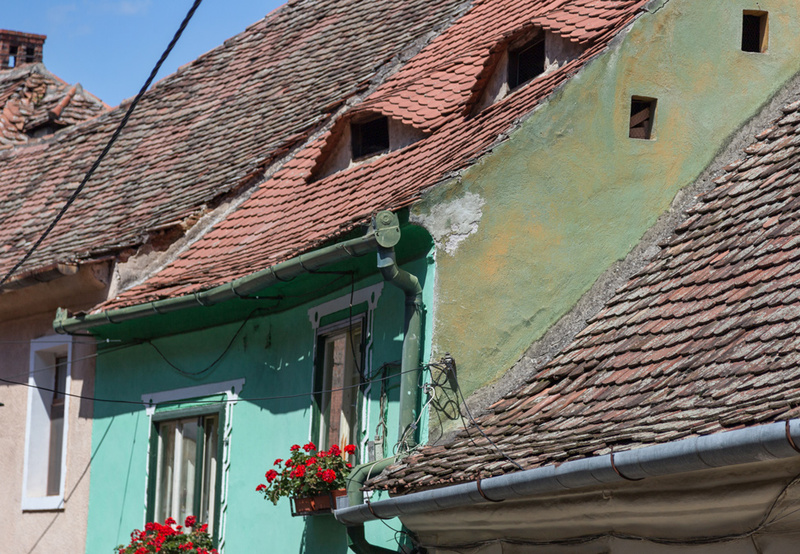 We looked back at some of the other Romanian and Transylvanian towns we visited and saw some similar eyes peering from buildings, but none like those in Sibiu. As I shot photos of these eyes, I couldn’t help but wonder about the days gone past, when someone might have actually been shooting back. 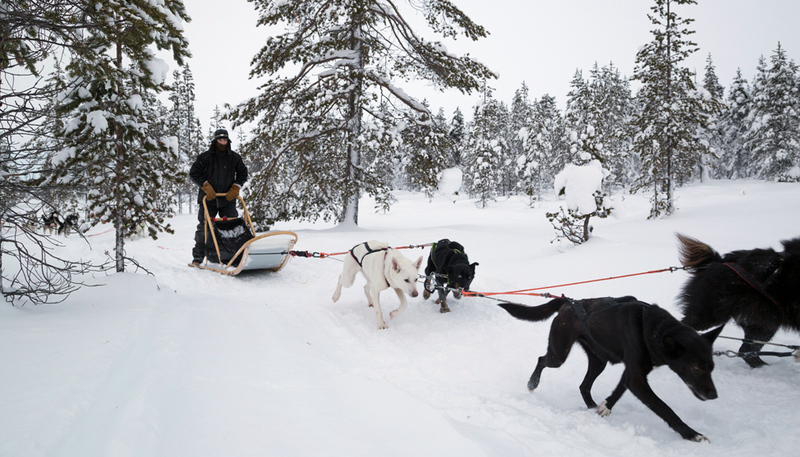 70 kms over 2 days, 300 kms inside of the Arctic Circle. 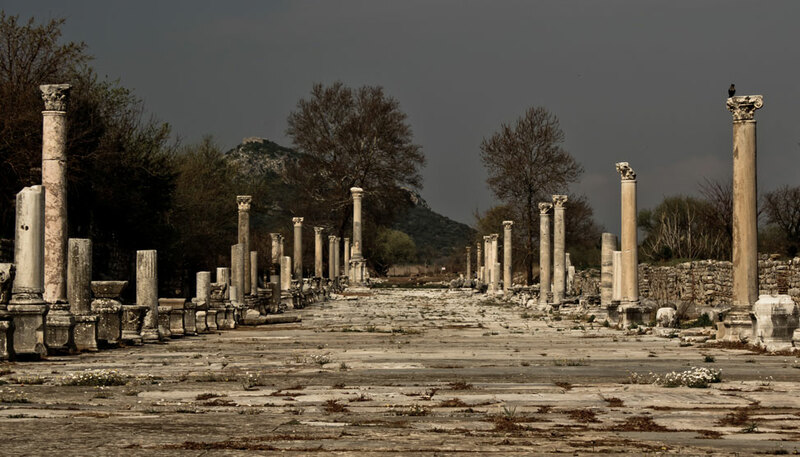 Reflecting on the ruins will allow us to greater marvel at its rebirth. They definitely look like heavy lidded eyes, it gives the buildings a distinct personality. Love it. That it does! At first, a little creepy, but overall, a very interesting architectural feature! That is so creepy! The first picture was interesting and amusing, but the sheer number of these weird eyes is really unsettling. I’d feel paranoid wandering around today, I can’t imagine what it would be like walking around the town when you knew someone was actually watching from those windows. These are really unique roofs and windows you’ve captured, Pete. Interesting how the history remains present in details you wouldn’t expect. Wow those are creepy and cool at the same time, loved the history and details. Whoa! The longer I look at those photos, the creepier they look! I’ve been living here for 22 years and I didn’t notice the “eyes”. 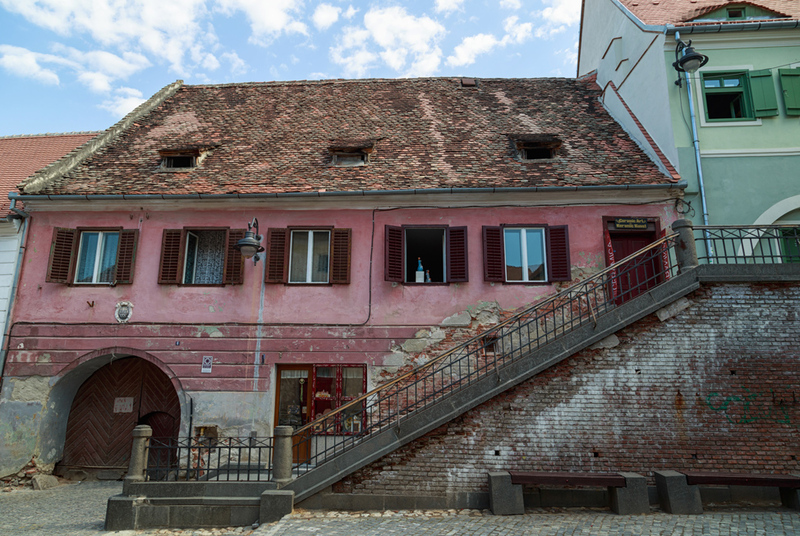 Here in Timisoara are not so often, those are specific to the center of the country Sibiu, Brasov, Sighisoara. Wow! I can’t believe you never noticed them! “Every Breath You Take” by The Police was playing in my head as I read this. Those eyes are so beautifully creepy! I really want to visit this special place!! 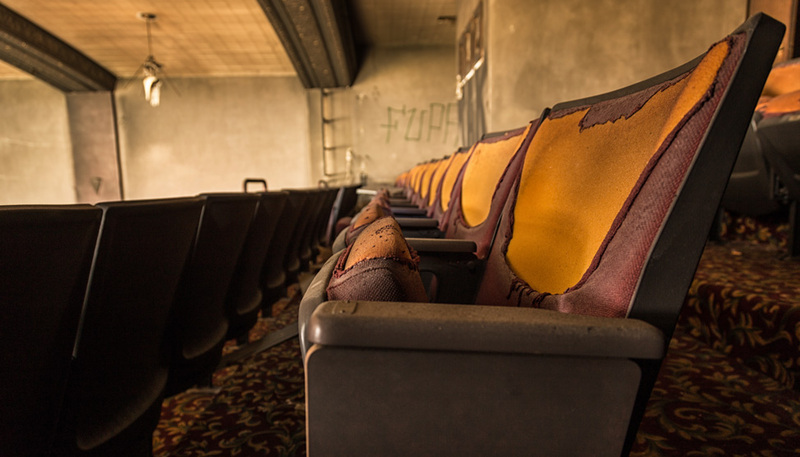 Very cool photos. Very clever blog post. Got my attention and read all the way through. What a trip! Very interesting post. In one light, it’s slightly comical since they’re houses, but with reading the quotes, it’s something totally different. Call me a cockeyed optimist, but I found the watching eyes sort of humanized and animated the buildings in a nice way– not creepy at all . 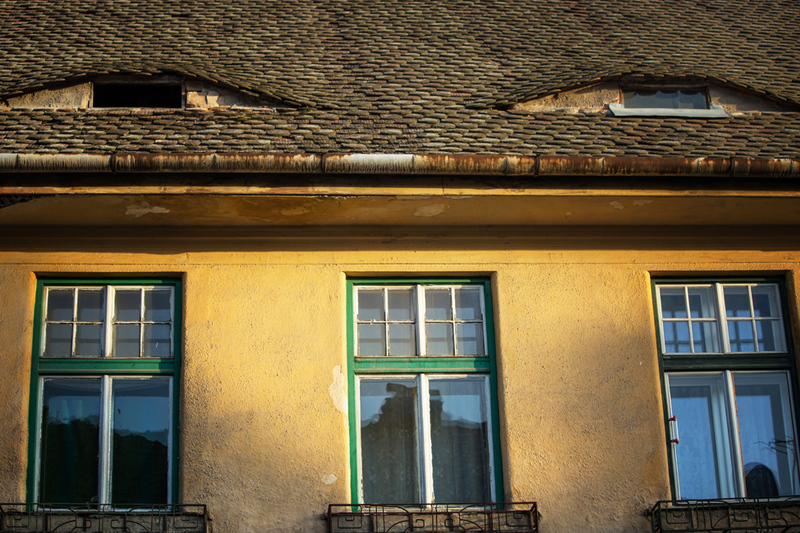 I was wondering what’s “creepy” about the city I was born in, Sibiu. Wow, amazing story, Pete, and especially the photos! Living for years in Sibiu, I got used with the city. 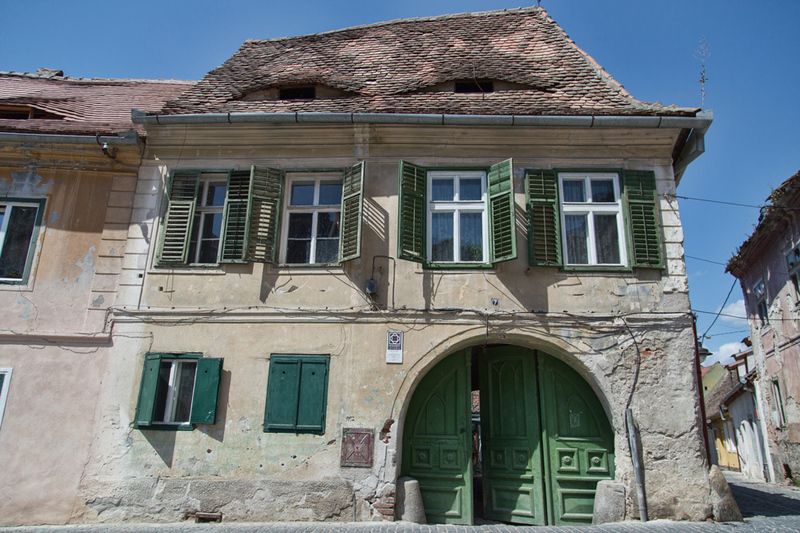 But seeing the “eye’s of Sibiu with fresh eyes, shows the story in another light. Thanks! Ovi @ 100 Travel Stories recently posted..Let’s Go to Singapore!